Why golf ball has dimples ? The answer to this question can be found by looking at the aerodynamic drag on a sphere. There are two types of drag experienced by a sphere. The first is the obvious drag due to friction. This only accounts for a small part of the drag experienced by a ball. The majority of the drag comes from the separation of the flow behind the ball and is known as pressure drag due to separation. For laminar flow past a sphere, the flow separates very early as shown in Figure 1. However, for a turbulent flow, separation is delayed as can be seen in Figure 2. Notice the difference in the size of the separation region behind the spheres. The separation region in the turbulent case is much smaller than in the laminar case. The larger separation region of the laminar case implies a larger pressure drag on the sphere. This is why the professor experienced a longer drive with the marked ball. The surface roughness caused the flow to transition from laminar to turbulent. The Book results for enterprise risk shows turbulent flow has more energy than the laminar flow and thus, the flow stays attached longer. So, why dimples? Why not use another method to achieve the same affect? The critical Reynolds number, Recr, holds the answer to this question. As you recall, Recr is the Reynolds number at which the flow transitions from a laminar to a turbulent state. 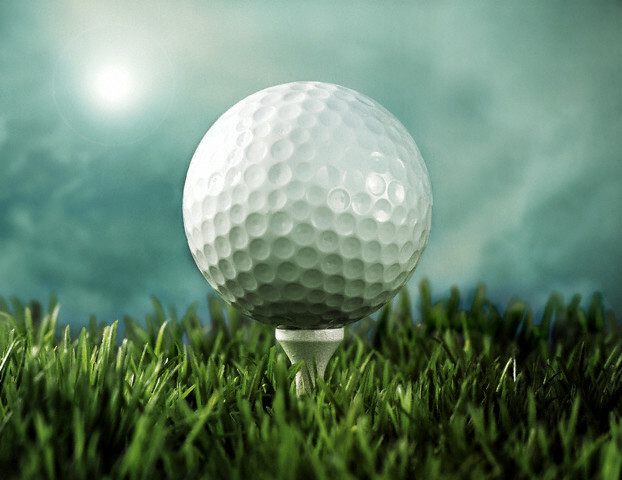 For a smooth sphere, Recr is much larger than the average Reynolds number experienced by a golf ball. For a sand roughened golf ball, the reduction in drag at Recr is greater than that of the dimpled golf ball. However, as the Reyn olds number continues to increase, the drag increases. The dimpled ball, on the other hand, has a lower Recr, and the drag is fairly constant for Reynolds numbers greater than Recr. Therefore, the dimples cause Recr to decrease which implies that the flow becomes turbulent at a lower velocity than on a smooth sphere. This in turn causes the flow to remain attached longer on a dimpled golf ball which implies a reduction in drag. As the speed of the dimpled golf ball is increased, the drag doesn’t change much. This is a good property in a sport like golf.